19 He named that site Beit El; but previously the name of the city had been Luz. 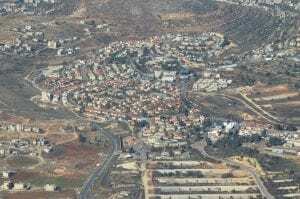 When Yaakov arrives in Beit El, the city near which his grandfather Avraham called to Hashem for the first time in the Land of Israel (Genesis 12:8), he recognizes its unique spiritual character. From that moment on, Beit El appears throughout the Bible as a special location for prayer. 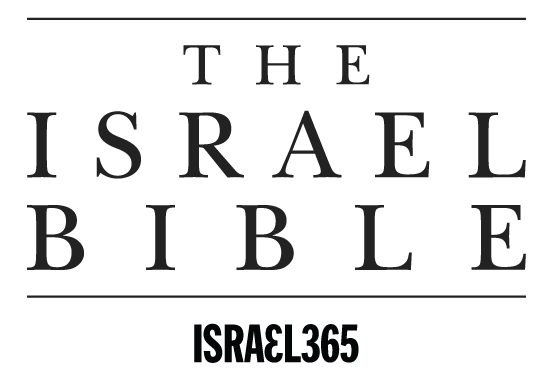 The Hebrew name Beit El means “The House of the Lord,” and signifies its powerful purpose. 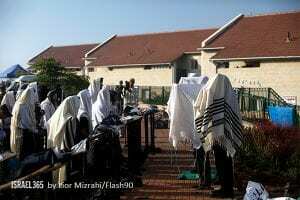 Rabbi Zalman Sorotzkin explains that a home protects a person from the elements, extreme temperatures and rain. Similarly, we are meant to view “The House of the Lord” as a safe haven, protecting us from danger and therefore an ideal location for coming close to God. 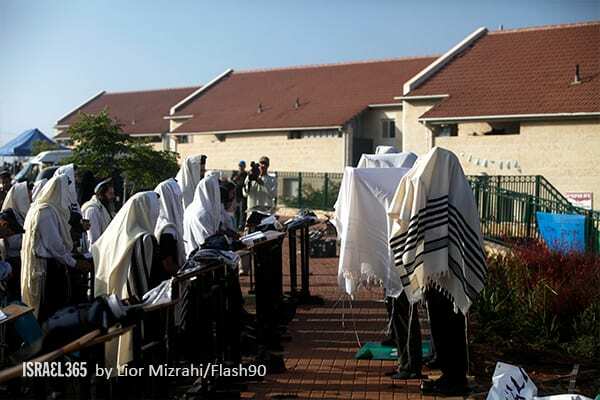 A quorum of Beit El residents wrapped in tallitot (prayer shawls) participating in the daily morning prayer service. You are right, the exact location where Jacob had his dream is unclear from the text. On the one hand, Jacob says the location is the "house of God" and the "gate of heaven," implying the Temple Mount in Jerusalem. On the other hand, he calls the place "Beth-El," which the Torah identifies as Luz. The commentators offer a range of answers to this question and the two comments on this chapter reflect two of them. Ah. I see now, thanks for the response Shira. I read somewhere that Luz means 'almond tree'. Interesting to me the word almond comes from a root meaning "watch" or "wake". Maybe no relation but Jacob did awake in v 16. I was also wondering about this. The comment on v.17 states it is none other than the Temple Mount in Jerusalem but the scripture states it is Bethel, formerly Luz? 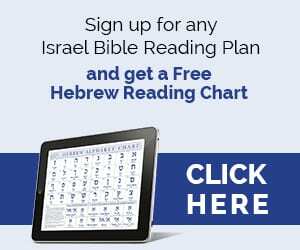 According to this verse, the place where Jacob slept and God spoke to him was, Bethel, not Jerusalem as was stated in verse 17. It does not appear that he carried the stone that he had slept on from Jerusalem to Bethel. Thus….. Even so, the Lord has blessed him abundantly with this encounter with the living God.